astropi | FRAANJE/SONIANO/GOUBAND on tour in February 2016! 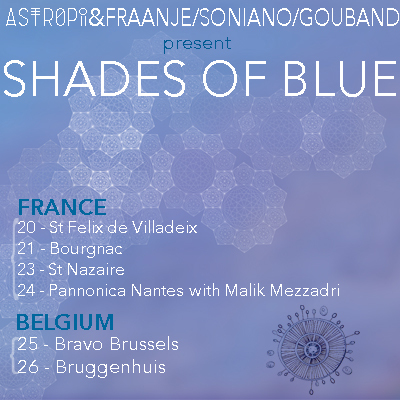 the trio Fraanje/Soniano/Gouband is on the road to present its third opus Shades of Blue. *SPECIAL APPEARANCE* of MALIK MEZZADRI at the Pannonica on the 24th of February!